We, the undersigned, call on Brighton & Hove City Council and the organisers and sponsors of the city's biggest public events to commit to eliminating the use of single-use plastics by 2020 at the latest. Internationally, each year, over 8 million tonnes of plastic finds its way into our oceans and some of it already turns up on Brighton beach, but the impact is even worse when city events create vast amounts of additional waste such as water bottles from the marathon or disposable plastic glasses during the Festival and Pride. It doesn't have to be this way. Events should be using alternatives such as stack cup and water refill stations. 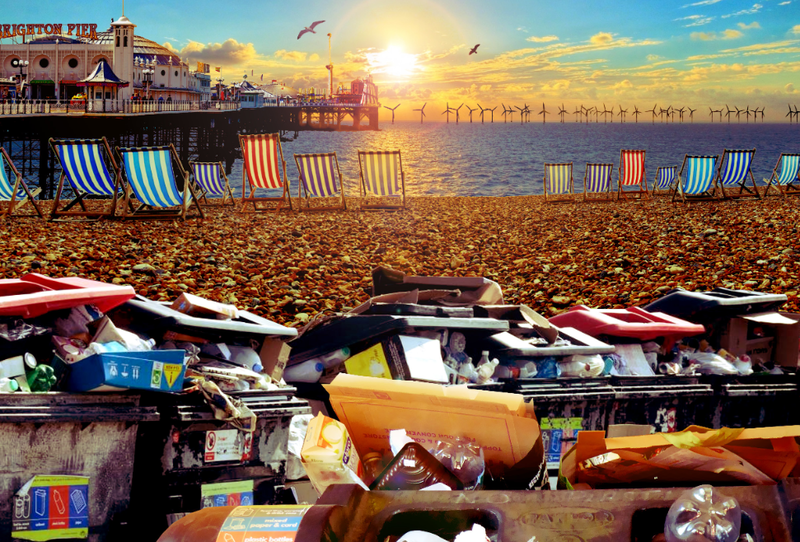 In the summer of 2018, Green Councillors persuaded Brighton & Hove's Labour Council to introduce new criteria to ensure city events go 'plastic free' and in particular that event organisers eliminate single-use plastics as a condition of their event permission. Following this success the Councillors presented another proposal to investigate food waste collections and an increase in plastic recycling, this passed, but without the support of a single Labour Councillor.